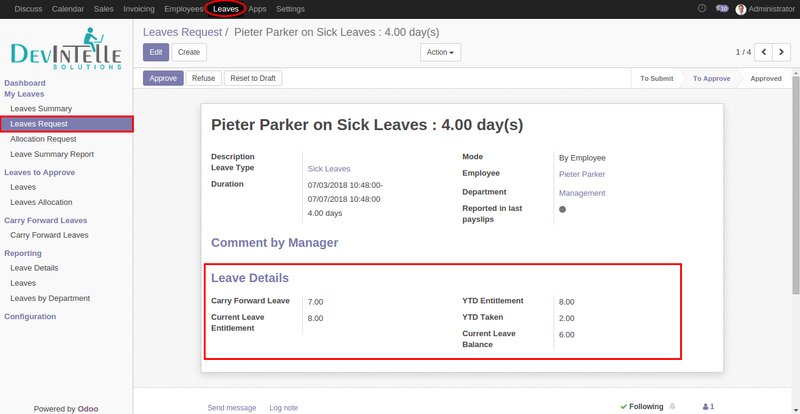 How to manage employee leave summary in odoo » DevIntelle Consulting Service Pvt Ltd. 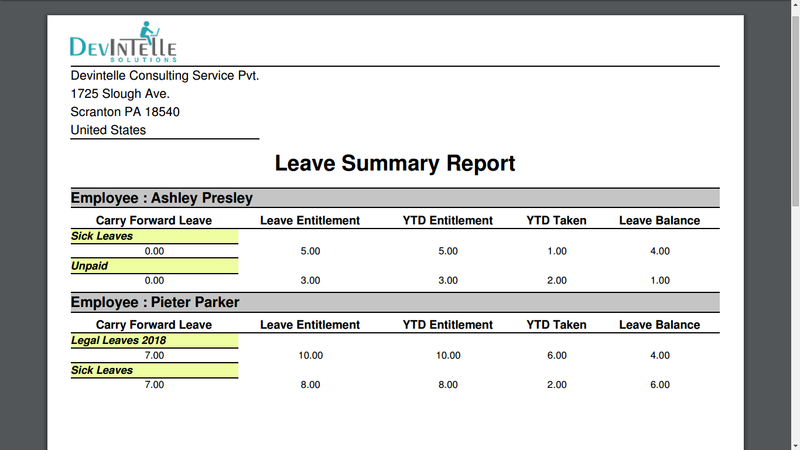 Worried about how would you manage Employee Leave Summary? 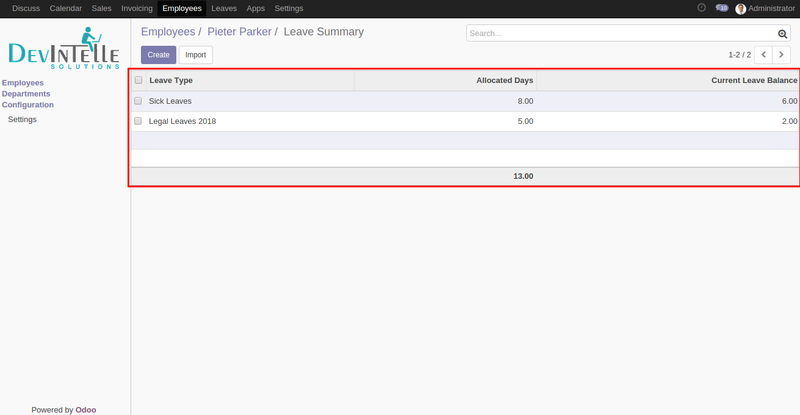 Here is our Odoo App , it can help you for same. 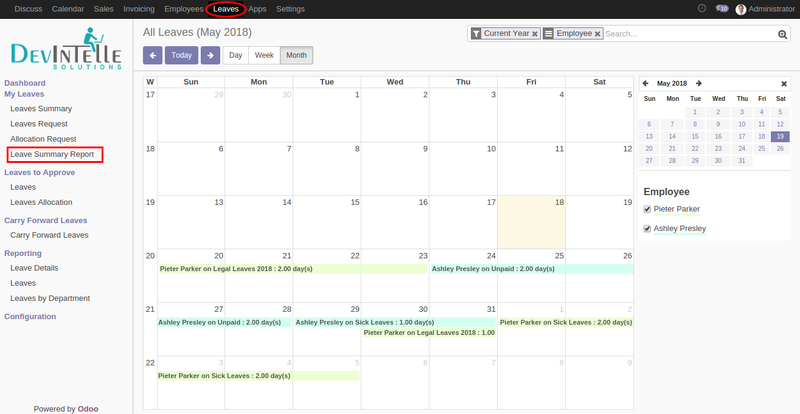 Use this report to view detailed paid leave information for a designated employee. 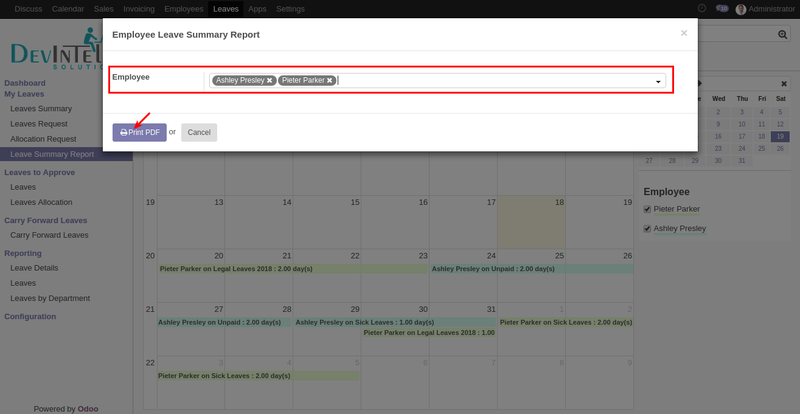 You have the option of viewing the summary and detail in one report. The leave summary will show several matters, including statutory leave which is awarded annually, leave exceeding the statutory minimum, manually added leave, taken leave, and the expiration date of the leave. 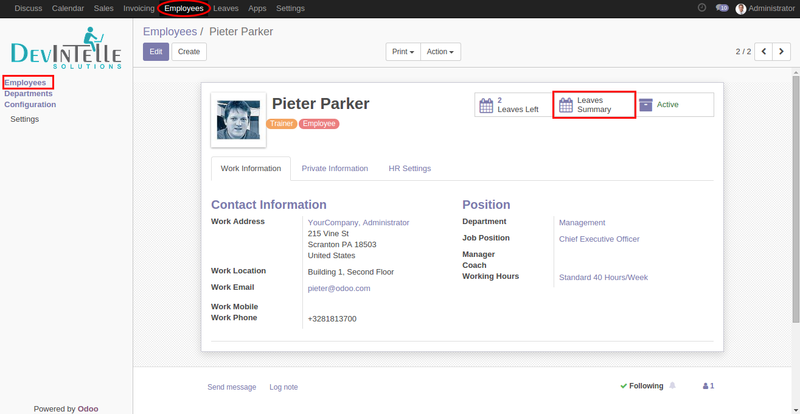 You can easily download our odoo app with below Link.